If you’re looking to get yourself entirely off the grid and prepare for your own future, the first thing you need to do is make sure you don’t need any of the traditional comforts of home. 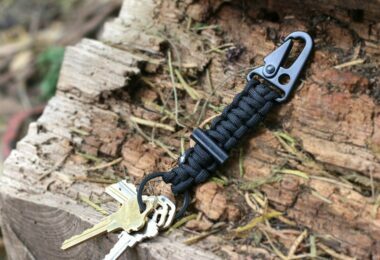 Sure you’ll want to use them whenever you can, but if things go bad you’re going to need to know how to survive without those things and that means using what you have, including learning how to build an outhouse. After all, you’re going to need a place to take care of business if at any time you’re left without power or running water. The first thing you need to do is check and make sure having your own outhouse is allowed. Different areas of the country have different regulations about this. For example, most cities are against it and only more rustic regions of the country will generally be accepting. Even if you are allowed to have one however there will be a lot of restrictions put in place including the distance away from any water source for sanitary reasons. There are a variety of different designs out there for an outhouse and you may have your own design ideas as well. The important thing is making sure you choose one that’s going to last in your climate and conditions. For example, if you don’t have a solid frame it’s not going to do well in windy conditions. Not having a solid roof will not do well in rainy or snowy conditions. Consider how many people need to use it as well, for example if you need to accommodate an adult and a child at the same time. 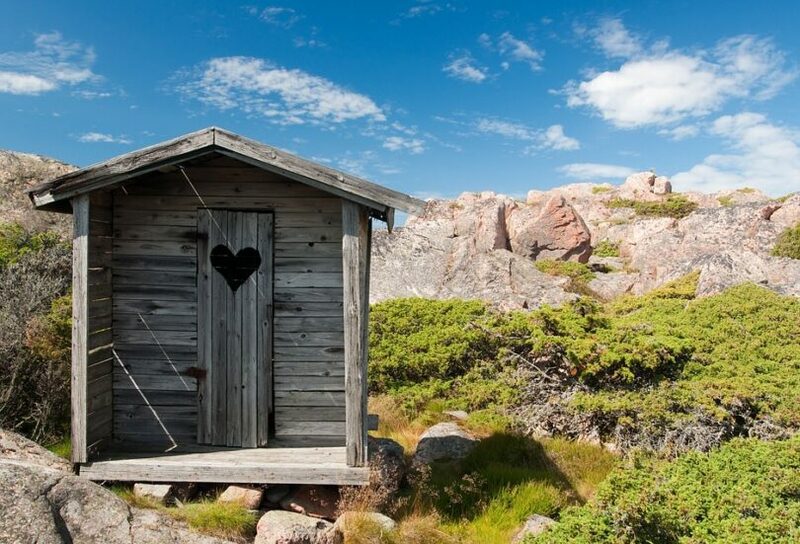 Remember that there are different styles you can use for your outhouse. You have the option to create a simple hole in the ground that you or other users can squat over or you can create an actual seat that’s more comfortable. You’ll probably want to include a place you can set toilet paper or anything else you might want. 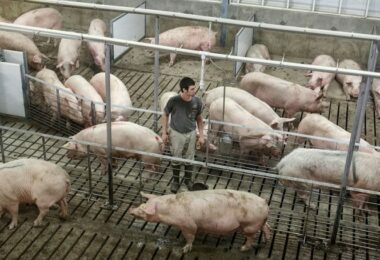 You’ll also want a ventilation system that will help you keep it cleaner and even more sanitary. You’ll likely also want to have some hand sanitizer in the outhouse for additional sanitary reasons. 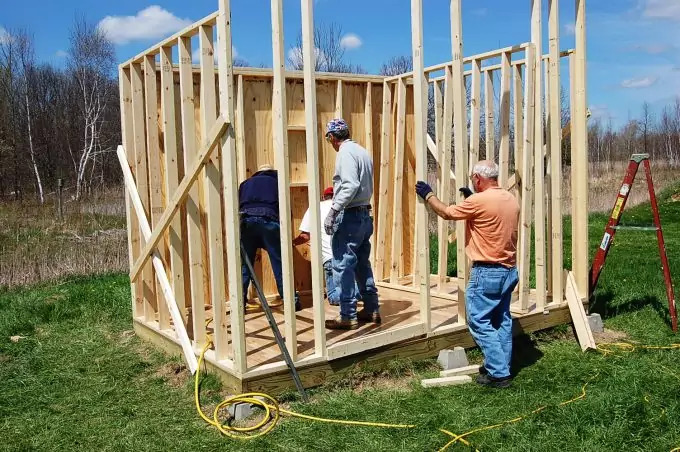 The construction process is extremely important and involves several steps designed to ensure that your outhouse will be functional as well. This starts with digging the hole which should be at least 4 feet by 5 feet. The walls should be even and you want to make sure you put in a decent foundation. Over the top of that whole you’ll want to put a foundational frame. It needs to go over the top to create a solid foundation to stand on with a section left open to reach down into the hole. You can do this with a wooden structure covered in tar paper which will keep out moisture. Make sure you level the ground and also make sure the wood around the hole is treated properly. Now keep in mind that concrete bases should use a good wooden form and have approximately 4 inches thickness for stability. Make sure you have a good reinforcement such as a steel rod to ensure the concrete stays where it needs to be while hardening and throughout the time that you’re using the outhouse as well. You also need to create a form out of wood to hold the rest of the concrete while it sets. Next, start creating the frame for your outhouse. It should be made with pressure-treated wood so that you have less of a chance of it breaking down over time. It starts with a simple square platform that you can cover with plywood. You will need to nail it down into the frame so there’s no chance of it moving off the base. Then make sure you cut out the holes for where you’re going to sit (or squat) to use your outhouse. You’re ready to start building upwards at that point. To frame out the structure you want your timbers to be at least 6 inches square. Put in the corner posts and then add top and bottom bracers to make sure the structure won’t fall over as you begin putting up your boards. 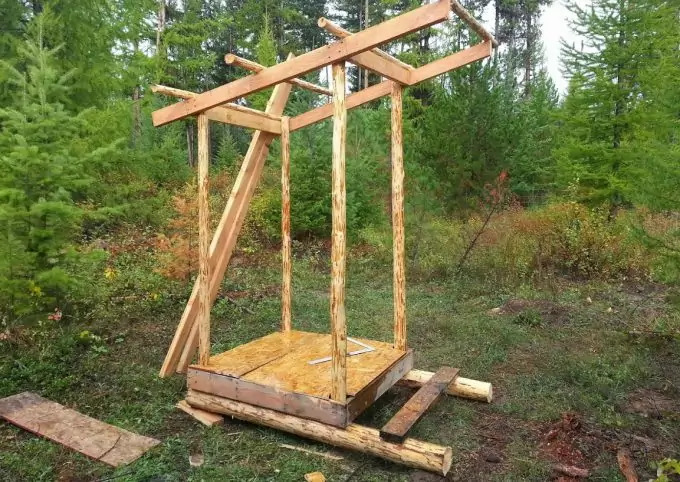 You want to build a sort of frame with 2 x 4’s and then use plywood over the outsides to make it solid. The 2 x 4’ will make it sturdier underneath so you don’t need to worry about any problems otherwise. If you’d like to add diagonal bracers before putting up your 2 x 4’s you can do this as well to make it even sturdier. Next is the roof, which should be first made with plywood secured over the top of your bracers. Make sure it’s larger than the structure you’ve created so you don’t get water down inside the walls. Then cover the top with your choice of roof building materials whether it’s rolled roofing, metal panels or actual shingles. This way you’ll be better protected in case there’s any kind of hazardous weather such as strong winds, rain or other storms that could tear through your plywood roof. 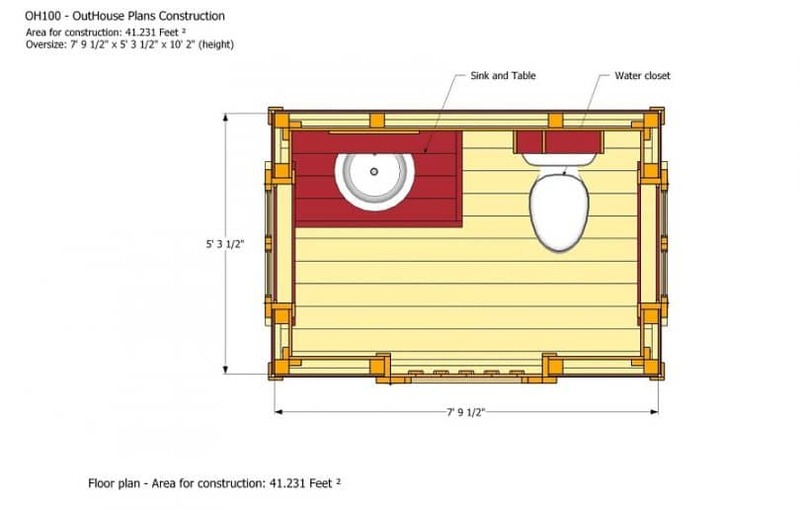 If you’re looking to add a seat you can just purchase one or you can put in a wooden box at the height you want so that the people using your outhouse are able to sit down comfortably to use it. Remember to make it the right height for anyone that might need it, including children if you have any. The box can be made with more 2 x 4’s and plywood but make sure it’s sturdy enough to hold anyone that needs it (and people heavier than what you might think will be using it just in case). You’re going to want some ventilation for your outhouse as well. One of the best ways to do this is to cut a hole in your door and use a screen inside to keep pests out. Make sure your screen sections are small enough that flies aren’t going to get in. You really don’t want them in your outhouse because they can cause diseases and they tend to enjoy the contents of your outhouse, two things you want to avoid. By making your outhouse safe from flies you’re protecting yourself from all of that. Finally, you want to make sure that you’re keeping your outhouse looking good. This means cleaning periodically and it means doing what you can to keep odors down. One of the best ways you can do that is by keeping sawdust in your outhouse to throw down into the pit when you’re finished using it. 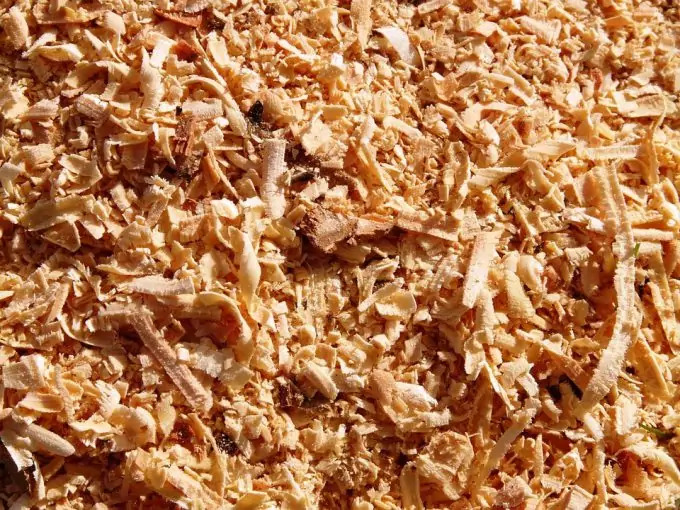 The sawdust can help with the decomposition process as well as giving a little bit more pleasant smell to the structure, definitely important if you’re going to be using it frequently or if you have several people that are using it frequently (or just regularly). If you’re really looking to improve it you may want to add in an additional ventilation shaft to provide somewhat of a cross breeze. The traditional half-moon in the door is actually realistic and if you have a screen cut into a different section of the outhouse you can add this. It doesn’t need to be large because it will provide enough of a cross breeze even if it’s just a small piece cut out. All you really need is a little air able to get through the smaller section because most of it is going to come through the larger hole somewhere else. Not a lot of people really like the idea of looking at an outhouse in their backyard. They tend to stick out quite a bit and that can be a big problem for a lot of people. They don’t want to see it and they definitely don’t want other people to see it (at least as long as there’s no emergency). So what can you do? Well the best thing to do is come up with a way to make your outhouse look a little nicer and less like something a little too taboo for the dinner table discussion. One way you can do this is by dressing up the roofing of your structure. All you need to do is add some shingles to the top or consider gables or other accents. This will make the structure look less like an outhouse and almost like a shed instead. If you have a window or ventilation screen on the side of your structure you can also add curtains, which provide privacy and also help with making the structure look a lot nicer. Painting can definitely do a lot for it as well since wood will start to darken and look not so great over time unless you stain it (or at least seal it). Planting flowers outside can also help make it look nicer and will also allow you to mask some of the odor. Try picking flowers that don’t have large root structures so they don’t damage the foundation of your outhouse but make sure they have some fragrance to them so if someone gets close they can smell the flowers instead of the outhouse itself. You’ll definitely end up with a look that’s more like a shed and therefore not so much of an eyesore. If you really want to go off-grid or be a survivalist another thing you’re going to need is your own food source. Growing food however, can not only be time-consuming, but it can be difficult as well. That’s why you need a way of fertilizing your crops that you can get easily and without the necessity of a store or machinery. The best thing you can do is use your outhouse as your fertilizer. We’ve all heard of farmers using waste from their cows and other livestock. It works the same way with your own. 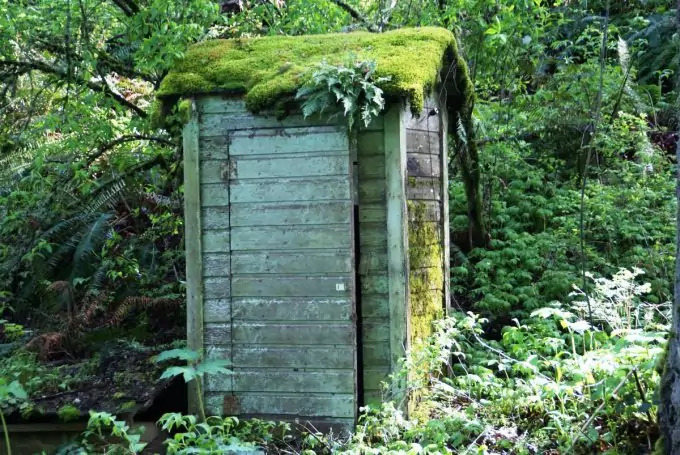 If you’re going to use your outhouse waste as compost you need to make sure you have a slight addition to your structure. For one thing, you’ll need a chimney to route from the base of your pit up through the outside. This ensures enough air is getting down there to help with the decomposition process. It also ensures that you aren’t going to end up with bacteria and pathogens in the waste product before you put them near your crops (which is definitely not good for you or your family. 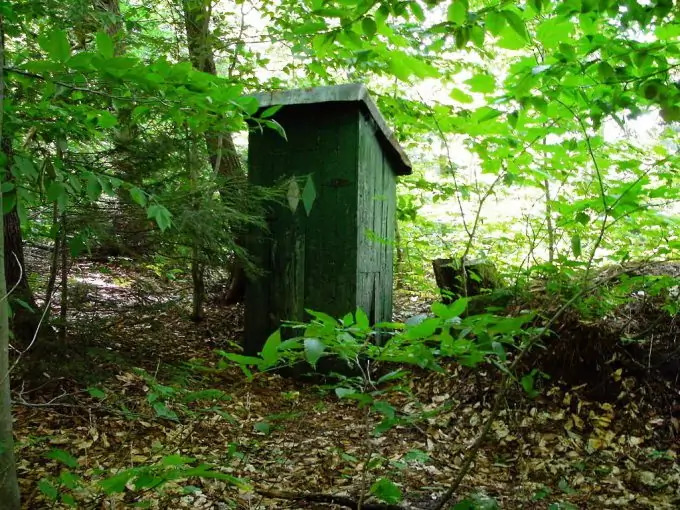 You also need to make sure that you are putting some form of organic material down into the pit after each time you use the outhouse as this will help with decomposing even faster, something you definitely want for this process to work. The material could be anything from sawdust and woodchips to hay and leaves, but there needs to be something to start the decomposition process and the waste itself is not going to do that. Without decomposition you’ll end up with a product you really can’t use for much of anything and that’s not what you want. You’re also going to need a way to get the waste materials out of the pit. One way to do this is to have a bucket or other method for getting the waste material out. You’ll need to make your box for the seat a little differently so that it opens to allow you easier access inside the pit. But this can be somewhat messy and it’s not something that a lot of people like doing, not that you’ll necessarily have a choice if something bad happens out in the world and you need to get your crops going as well as possible without help from the rest of the world. Another method is to build the entire structure of your outhouse into a hillside. This way, you can easily dig the pit under the outhouse but without it actually being underground. In the end, it’s a lot easier to get the waste material out because all you have to do is use a rake or shovel rather than attempting to scoop it up out of a pit without a lot of mess or difficulty. You also get more of the material this way because it’s so much easier to access making your composting process a lot more effective. In order to access the waste material in these situations you want to make sure you build a door into the back of the hill which accesses the back of your pit. Make sure the bottom of the door opens outward and at the same level as the pit so that you can easily rake the material right out the door and wherever you need it to be. You may not want your garden quite so close to your outhouse, but having this type of access will make it easier to rake out the compost and then gather it in a not so messy way. Composting has actually been found to be extremely good for the environment. You don’t just mix up waste materials but also rinds or skins from fruits and vegetables or other food products you haven’t eaten. All of these things get broken down with organic materials like the sawdust and leaves we already mentioned (like the leaves you rake up every fall anyway) and then you allow them to mix and break down before mixing them into the soil around your plants, whether they’re flowers or food. The compost is full of organic materials that are great for your plants. That means they grow even better than you probably would have expected and you get rid of all that material you don’t have a use for anyway. You’ll be able to clean out your outhouse periodically and you can make use of the wasted food or even rotted produce that you’ve got in your home or that you’ve been throwing away all this time. It’s going to help you create better food for your family later on and that’s definitely something you’re going to want if things start going bad in the rest of the world. Fertilizer is an extremely important part of growing your own crops (as any farmer or gardener will tell you). But using the fertilizer that you purchase in the store has several problems. For one thing, if things go really bad you won’t even have that option and you’ll find yourself without the ability to purchase the fertilizer your plants really do need to grow as big as possible. If you don’t use fertilizer at all your plants will grow, but they’re not going to grow as large or produce as much individually as they would if there were fertilizer around them. See our article on the best portable toilets to give you more information and ideas on this. Using organic fertilizer gets rid of some of the chemical aspects of the store-bought fertilizer as well. You don’t have chemicals, pesticides and other products that could potentially be harmful to your family. Instead, you have nothing but natural ingredients that are full of the nutrients that your plants and crops really need in order to continue growing. This is also going to be an important benefit as well because the fertilizer is made from products and waste you already have around your house. Why not use it and get rid of it? Then you also benefit your crops and that means killing two birds with one stone. Surviving in the wilderness or even in your own home if society starts to change is definitely not going to be easy. There are a lot of steps to follow and you’ll need to be skilled in a variety of different things that you can do without technology. That definitely includes growing your own crops. But taking care of those crops means taking care of your family as well. So make sure you’re doing everything you can to keep them growing well and that means using the waste you already have to help improve them. For tips and guidelines on living off the land, see our amazing article to learn more. Building your own outhouse isn’t going to be a walk in the park. 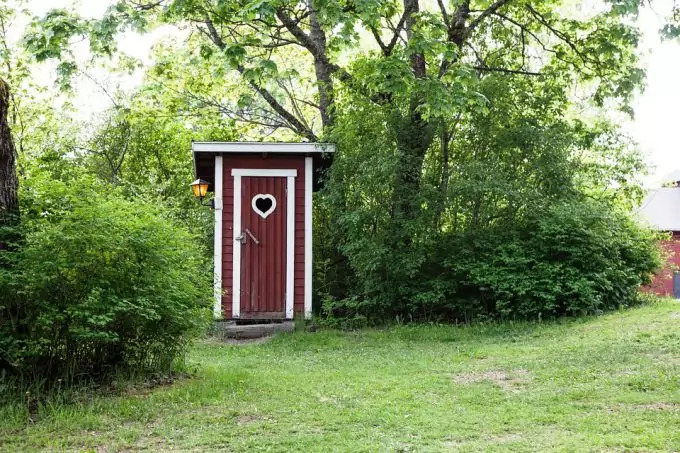 You’re going to need to spend a lot of time on it and create not only the design but the ideal space for your outhouse. You want to make sure that it’s far enough from your home after all, since it’s not going to smell great no matter what you do to keep it clean and fresh. You also want it a safe distance from a water source, especially if you’re going to be living off the grid on your own. 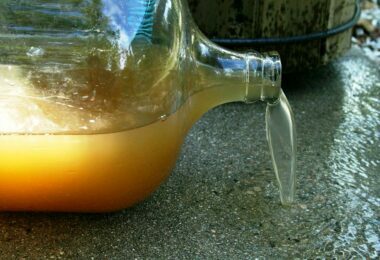 You never want to poison your freshwater source. Once you’ve got everything figured out and you’re ready to build, just get started. It’s going to take work but it’s going to be a good project that will definitely serve you well in the future. You’ll have no problem getting your family where they need to be and making sure that everyone gets a place to go to the bathroom no matter what is going on in the rest of the world. That’s definitely important and it’s essential for sanitary and health reasons as well as just being nicer for the family. All-in-all, the important thing is making sure that you pay attention to the instructions when you get started. Make sure you are building in the right place and that you build a strong foundation from the start. 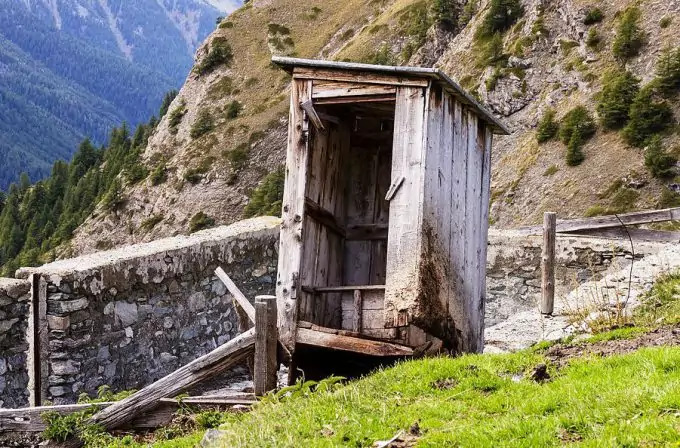 Anything less than that is definitely going to cause some problems for you and it could cause problems for anyone that might be using the outhouse when there’s bad weather or problems in the area. So make sure you build a sturdy structure and that you’re continuing to check it every time something happens in your area. You definitely don’t want it to fall down, especially if someone is inside at the time. But knowing how to build an outhouse is going to continue to serve you well over time. For tips on living off the grid, see our article dealing with this topic for more information.